Below you can view all the highrises for sale in the 1279 West Condominiums subdivision located in Atlanta Georgia. 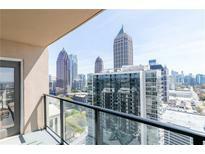 Listings in 1279 West Condominiums are updated daily from data we receive from the Atlanta multiple listing service. To learn more about any of these highrises or to receive custom notifications when a new property is listed for sale in 1279 West Condominiums, give us a call at 404-998-4178. Truly One Of A Kind. Will Not Last! MLS#6536905. Cva Realty, Llc.. Convenient To Marta, Shopping, And Dining. MLS#6532779. Cva Realty, Llc.. Walk To Marta, Shopping & Dining, Fox Theatre, Piedmont Park & Atlantic Station. Must See! MLS#8558277. Imax Realty Llc. Walk To Marta, Shopping & Dining, Fox Theatre, Piedmont Park & Atlantic Station. Must See! MLS#6531049. Imax Realty, Llc..
Conveniently Located In The Heart Of Midtown And Across The Street From The Arts Center Marta Station.Walk To Shopping And Dining.Top Notch Building Amenities Include A Lap Pool, Full Fitness Center, Tennis Court & Racquetball MLS#6527380. Cva Realty, Llc.. Walk To Shopping And Marta. Will Not Last! MLS#6091988. Cva Realty, Llc..
1280 West Offers Top Notch Amenities Such As Tennis, Racquet Ball, Fitness Center, Steam Rooms, And Lap Pool To Name A Few. Walk To Marta And Shopping. MLS#6515895. Cva Realty, Llc.. Walk To Marta, Shopping, And Dining. MLS#6512136. Cva Realty, Llc..
Intown Living At An Affordable Price! MLS#6512939. Keller Williams Realty Atl Perimeter. Top Notch Building Amenities Include Gym, Heated Pool, Tennis, And Racquetball. Walk To Restaurants And Shopping. MLS#6509506. Cva Realty, Llc.. Plenty To Explore Nearby Shopping, Restaurants, Atlantic Station, Atlanta Botanical Garden, Piedmont Park And More. MLS#6504591. Bhgre Metro Brokers. Plenty To Explore Nearby Shopping, Restaurants, Atlantic Station, Atlanta Botanical Garden, Piedmont Park And More. MLS#8525251. Bhgre Metro Brokers. Use This Link To Schedule A Viewing. MLS#6503340. Citiside Properties, Llc.. The Building Boasts Top Notch Amenities And Is Located Directly Across The Street From The Arts Center Marta Station. Walk To Restaurants And Shopping. MLS#6120704. Cva Realty, Llc..
Master Bath W/ Seamless Shower And A Stand-Alone Tub. Private Enclosed Garages. MLS#8505052. Berkshire Hathaway Homeservices Georgia Properties. Master Bath W/ Seamless Shower And A Stand-Alone Tub. Private Enclosed Garages. MLS#6115097. Berkshire Hathaway Homeservices Georgia Properties. Walk To Piedmont Park, Atlantic Station, Whole Foods & Marta! Welcome Home! ! MLS#6107524. Keller Williams Realty Atlanta Partners. Condo Building Amenities Include Tennis Court, Community Pool, Fitness, Business Center, Club Room, Racquetball Court, And Much More! Come Enjoy Fabulous Downtown Living! MLS#6093543. Century 21 Connect Realty. Condo Building Amenities Include Tennis Court, Community Pool, Fitness, Business Center, Club Room, Racquetball Court, And Much More! Come Enjoy Fabulous Downtown Living! 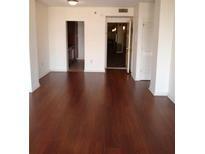 MLS#8477779. Century 21 Connect Realty. Top Notch Amenities In The Building And Arts Center Marta Station Directly Across The Street. MLS#6055647. Cva Realty, Llc..
Top Notch Building Amenities. Walk To Marta And Shopping. MLS#6053740. Cva Realty, Llc..